How to purchase the best Netbook! With the emerging era of iPada and tablets the net book is finding it difficult to find a place for itself. Though netbooks not in fashion or powerful yet still they are cheaper option for the purpose of every day surfing including e-mail, music and video chat. Netbooks are still provides a middle path for everyone who wish to select between a tiny smart phone, expensive tablet or awkward laptop. The first reason to buy a net book is need for a simple, light computer with enough power to fill a void to enter into the cyber space. And the second most important option is affordable price and rates it comes into. Netbooks begin from s £150 and reaches the cost of about £250, as aptly considered the first computer to fill the passion of a novice ready to dive into digital era. But netbook is not for everyone as they hardly serve the purpose of watching HD movie. Most of the netbooks use Intel’s Atom processors, as they are specifically designed for netbooks. Netbooks easily run between 1.5 and 1.66GHz. The expensive models could have an Intel (or rival AMD) dual core processor. Dual core netbooks work faster than single core, even when their quoted speed is lower as around about 1.5GHz or even 1.0GHz. They come with 1GB of RAM memory, with 2GB, they provide better options to navigate and run. 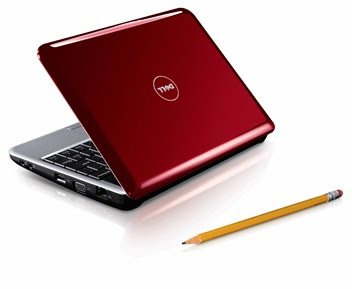 Initially netbooks runs on Linux operating system, as they kept the prices to be very low. The netbooks now have switched to Windows7 that is similar to anyone who has every work with Windows computer. The netbooks operate on the Starter Edition of Windows 7. Google’s, Chrome OS operating system works entirely in the cloud for with a regular Internet connection via Wi-Fi (at home) or 3G (when out and about). The netbooks come with a 10.1-inch widescreen display, but that doesn’t mean that they’re identical. The screens on cheaper notebooks are generally in the size of 1,024 pixels wide by 600 high. On expensive netbooks the resolution reaches to 1,366x768 pixels, which looks simple and easy for eyes. Netbooks come in storage capacity of 160GB or 250GB hard drives. It even can reach to as much as 320GB. Now some netbooks come with Bluetooth, letting you add a mouse or a better keyboard. Finally for power netbooks come with power backup of four to six hours.